Model Installed: 486 I have installed many types of vents. This is absolutely the best roof dryer vent I have found in 30 years. Very well made with heavy gauge metal and power coated. The design doesn't allow animals to enter and easily opens completely when the dryer is in use. Excellent product. Model Installed: 466 My competitors haven't caught onto the DryerJack yet … thankfully! I'm able to "show and tell" this product to customers and it clearly outperforms older roof terminations in almost every way. My customers appreciate the extra time I spend educating them on the importance of airflow efficiency. Because of the DryerJack, my customers have safer, more efficient homes than my competition can provide. Model Installed: 486 When I had a new roof installed, my contractor included the DryerJack with no problems. My dryer is now taking less time to dry clothes which will pay for the vent upgrade in a very short period of time. Model 486 compliments the new roof with a very nice appearance. I'm very pleased and would recommend it in the future. Model Installed: 466 The DryerJack was easy to install, looks great and works perfectly. Now our clothes dry faster, there's very little "floating" lint, and the new installation is much safer. I'm a hero in our home again … my wife thinks I am amazing. Model Installed: 466 The DryerJack worked perfectly. Much better than what the contractor had originally picked up at the roofing supply house. This is the product I will now use all the time. Model Installed: 466 I had the DryerJack installed to replace the bad choice my builder made in trying to save money. With the old vent, drying was taking 2 cycles if not 3. With the low profile DryerJack, my drying time is now 1 cycle! I love this thing! This was so worth the money, and, honestly, it could be more expensive if they wanted. Model Installed: 486 Recently I discovered our dryer, which was vented thru the roof, was using the wrong vent. It was the kind used to vent a exhaust fan and it was completely blocked with lint. This was an extreme fire hazard. I did some quick research and decided on the DryerJack, which was easy (for me) to install and works as well or better than promised. I would recommend it to anyone!!!! Thanks much. Model Installed: 466 Finally a good option. Great product. I'll never do the (big box store) plastic crap again. Model Installed: 466 Installs easily. I installed all new low friction pieces in my vent system, what a difference, cut my drying time in half, literally. If you have long drying times, consider this vent, it works great. Model Installed: 466 We purchased these for a new roof install and to test them instead of using a standard cap install for the dryer. So far, these have worked perfectly. No back pressure, just as advertised. We'll continue to observe how these new DryerJacks work. For now, they are rated 5 of 5! Model Installed: 466 We have just started using the DryerJack for our new homes and it has proved to be a nice option for a quick install when venting the dryer duct through the roof without needing to modify the unit to meet code. Model Installed: 486 This really is a great product. Have installed these DryerJacks on numerous projects, mostly commercial applications and they just work. Model Installed: 466 My roofer installed the DryerJack a few weeks ago, and it works as advertised: little to no resistance to airflow. The old vent had wire screening which caught lint and totally clogged up. Formerly, I had to go into the attic a few times a year to disconnect the pipe for cleaning. The DryerJack presented the opportunity to escape this drudgery. It is sturdy and well made. 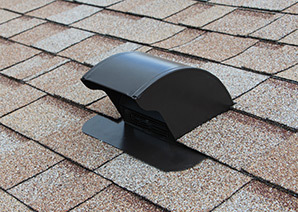 Model Installed: 486 A roofing specialist replaced my old dryer vent with a DryerJack on my tile roof. It works great. The old vent had wire mesh over the opening to keep pests out, but the mesh would constantly get clogged with lint from the dryer, no matter how often we cleaned the lint trap. I was resigned to cleaning the old roof vent about every 4 to 6 weeks to keep our dryer safe before getting the DryerJack. Model Installed: 466 I have been venting through a screen hood for about 5 years when a tech at Fantech told me about the DryerJack. It is exactly what is needed to vent a dryer through the roof. Easy to install and works great. Model Installed: 486 When our roofers replaced our old dryer vent, they used a vent that was not made for venting dryers. We had to replace the heating element in our dryer. After that I found the BEST DRYER VENT…the DryerJack. It is working wonderfully! I LOVE IT! Model Installed: 466 My dryer vents through the roof with the distance being at the high end of building code specs. Drying clothes took forever with the vent that was installed with the house when I purchased it. I ordered the low profile DryerJack and had it installed. Even the contractor was skeptical given the distance. The DryerJack has solved my drying problems! Drying jeans went from two hours to 40 mins! My drying times have been cut by 60-70%. I would highly recommend this product to anyone who has a roof dryer vent. Model Installed: 486 If you are going to vent a dryer through a roof, this is the vent for you. I did an exhaustive search for dryer roof vents. Most were made of light gauge metal, and poorly constructed. The design engineer of the DryerJack has a real grasp of the issues with venting a dryer. After 22 years with the East Point, GA Fire Department (retired), I'm a tough audience. My research on the DryerJack convinced me. Model Installed: 466 Our city inspector was really impressed when I showed him the DryerJack, which we plan to use to vent our dryer as part of our remodel project. His words, "Wow, this is perfect. Where did you find this?" It's well designed and well-made, an excellent product. Thanks! Model Installed: 466 I have a laundry room with no outside wall so the only choice for the dryer exhaust was up. Bought and installed this product and found it worked as exactly as described. Nicely fabricated of heavy gauge material and finished too. Will last a long time I'm sure. Highly recommended. Model Installed: 466 The DryerJack offers energy efficiency, duct cleaning accessibility, easier installation and inhibits bird or rodent entry. The other vents I've used in the past had screens that needed to be ripped out before installing. The problems with the old vents are resolved with the energy efficient DryerJack. My supply house was thrilled with the quality of the DryerJack, and after I spoke with them are now stocking it for my company! Model Installed: 486 My Old Vent had a screen in it that Plugged up. This caused moisture to condense in my attic especially when the outside temperature was so cold. The moisture soaked insulation, stained drywall etc. This design has no screen and has a duct extension for direct connection. Model Installed: 486 If you were told that you need to upgrade your horrible dryer vent, look no more. The Dryerjack is fantastic. It may just sit quietly up on my roof, but it makes a huge difference in the amount of time my dryer takes to dry our clothes. I am actually amazed at the quickness of each load. I had no idea that I had the wrong dryer vent when I bought my house 7 years ago. When the pipe to my roof clogged up, it burned out the heating element in my dryer. I had the pipe cleaned out, and was told that I had the wrong type of vent cap. The brown DryerJack looks great on my roof, and does its job admirably. I have 3 teenage boys, so I am constantly washing clothes. I am one happy customer! Best wishes to you all.